In the aftermath of the Great Recession, cities have looked to the rapidly growing food sector as a promising source of new employment, and yet most of the sector's growth has come from low-wage, dead-end food jobs. 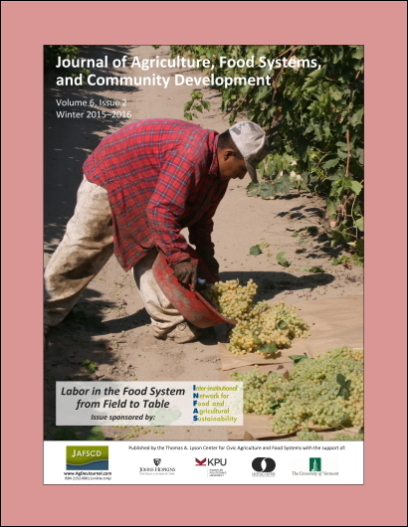 A strategy to simultaneously increase food employment, improve conditions for food workers, and enhance access to healthy and affordable food to improve public health requires pursuing a "good food jobs" approach that supports policies and programs that advance all three goals. To inform such a strategy, this article analyzes policies and programs to create good food jobs in New York City and discusses how these efforts must navigate conflicts among job growth, job quality, and food access and quality. It recommends strategies cities can use to advance a good food jobs strategy, analyzes obstacles, and suggests research that will produce evidence to help cities develop and evaluate policy approaches that contribute to stronger economies and better health. City University of New York (CUNY) School of Public Health and Health Policy and the CUNY Urban Food Policy Institute; 5 West 125th Street, New York, New York 10027 USA. CUNY School of Public Health and Health Policy and the CUNY Urban Food Policy Institute. New York City Labor Market Information Service at the CUNY Graduate Center.